The wine is a noble product which requires particular conditions of storage. The quality of its ageing depends on the climatic conditions of your wine cellar. The wine cellar air-conditioning systems WINECOOLER are specially conceived to offer your wines the optimal conditions for ageing. They stabilize the temperature of your wine bottles and furthermore, are very easy to use. 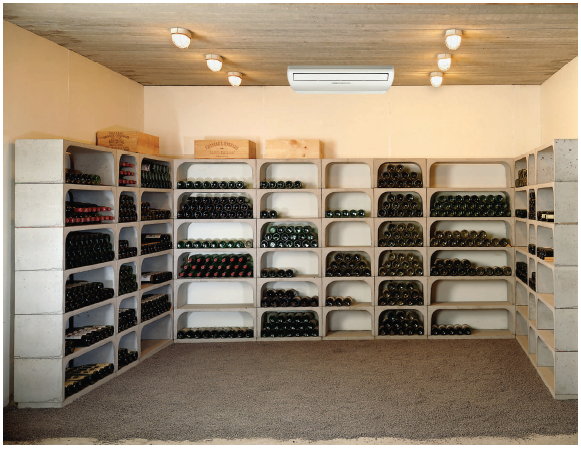 WINECOOLER proposes a complete range of wine cellar air-conditioning systems to answer the specific needs of every wine cellar. All our air-conditioning systems are on display in our shop. In our boutique you will find our different air conditioning systems !